iPad Mini Not a Myth! Surprisingly, Also Not Competition For Kindle Fire HD? Well, I’ve been proven wrong before and it’s happened again. Contrary to my previous expectations, Apple has finally come out with an iPad Mini to exploit the market for 7” tablets currently occupied almost entirely by the Kindle Fire and Nexus 7. Apparently they were willing to swallow their pride and cut costs and profits to the point where it’s hard not to consider an iPad instead for all your budget tablet needs! Ok…not so much. 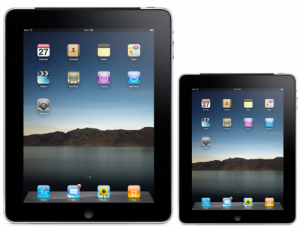 Apple made the dubious decision to price the iPad Mini starting at $329. 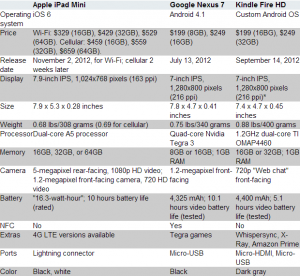 This means that the basic model will be $170 more than the Kindle Fire and $130 more than the Kindle Fire HD and Nexus 7. When we’re talking about devices that are popular at least in part due to their affordability, it’s insane to think that the iPad Mini can compete with comparably performing products running from 48-60% its price. This is, of course, an iPad we’re talking about. It will do well. Part of that is due to the overwhelming weight that Apple’s reputation with consumers carries. An Apple product will meet with a disproportionately high number of people willing to give it the benefit of the doubt. More importantly, it is an iPad and therefore connected to the established iOS ecosystem. Even if the hardware is inferior (and it is, which we’ll get to in a moment), having the ability to pull from the 250,000+ iPad apps currently in circulation is a big advantage. Realistically Android has comparable selections available, and nobody is ever going to find themselves wondering “would be life be complete if there were only 1,200 more tablet-optimized apps I could buy today”, but the side by side comparison of app ecosystems is still unequivocally in Apple’s favor. We have to wonder if this will be enough to push the product this time around. 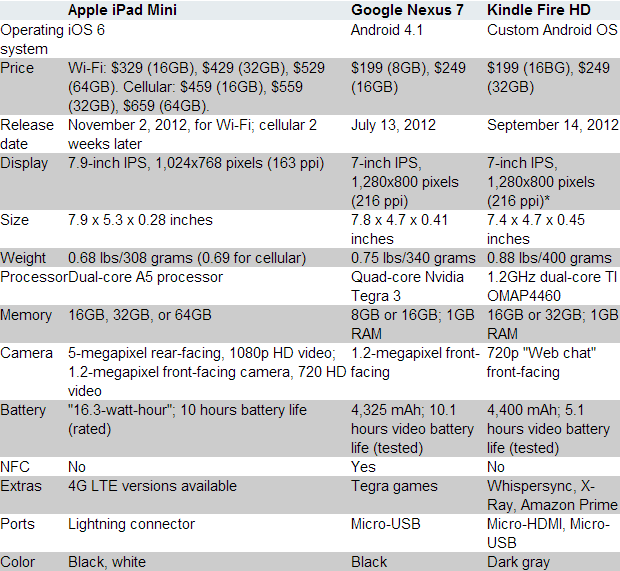 Consider the specs to the right, courtesy of CNET’s Jessica Dolcourt. The practically iconic point of superiority for iPads, the high quality display, is missing. In this case we get a larger 7.9” screen at a lower resolution than either of its two main competitors. The lower weight is nice, though not a huge difference. The A5 processor is quite outdated by comparison at this point. Even the onboard storage presents a problem since Apple is charging a $100 fee for each level of upgrade compared to Google and Amazon’s $50 (Google is rumored to be refreshing the Nexus 7 shortly to use 16GB as the baseline for their $199 model as well). I’m going to have to call this a failed effort on Apple’s part. They will get their piece of the 7” tablet market, I’m sure, but they won’t be able to dominate it like the larger playing field. The only really appealing aspect of the iPad Mini is the cellular connectivity and even that adds another 30+% to the base price. The Kindle Fire HD is in no danger here, at least until the 8.9” model is released and we can start drawing comparisons with the real iPad. Amazon has arranged for a September 6th press conference that leaves a lot to the imagination. The text of the invitation apparently reads, in its entirety, “Please join us for an Amazon Press Conference.” It will take place at the Barker Hanger in Santa Monica. That’s really not much to go on. Still, it is all but a given that the event will show off the latest generation of Kindle products. About a year ago Amazon released an entirely new set of Kindles. The Kindle Fire was the centerpiece, of course, but the then-renamed Kindle Keyboard was joined by a new basic Kindle and the Kindle Touch. 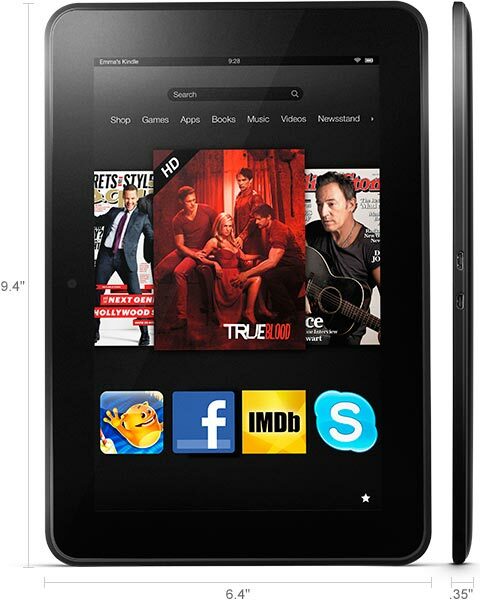 The Kindle Fire shook up the entire Android tablet world and changed the game entirely there. It’s thanks to Amazon that we’re seeing truly useful tablets in the $200 range. The newer Kindle eReaders did not enjoy as much success. The basic Kindle is indeed the cheapest and most widely purchased eReader on the market today, being the first to get under the previously impressive $100 mark. That is about all that has managed to impress people about it, however. The Kindle Touch is an interesting device and brought a touch interface to the line, but that’s not been enough to really demand attention for a while now. The speculation about what September 6th will bring for the Kindle is still rather varied despite the event being close at hand. Based on the information available, however, we can make some fairly safe predictions. Using a front company, Amazon seems to have managed approval for new versions of both the Kindle Fire and the Kindle eReader. This is not unprecedented and the last update to the product line involved three devices registered through three separate front companies in an effort to keep details under wraps. On August 15th The Digital Reader reported a tip that led them to the new Kindle Fire. It is less than informative, and certainly not as detailed as many would prefer, but some useful info can be gathered. Judging from the dimensions, for example, we’re looking at a 4:3 device as opposed to the 16:9 aspect ratio used by most tablet builders. It’s an interesting choice that may point to this being a larger tablet meant to compete directly with the iPad, since that is the same aspect ratio Apple uses in their own design. The new Kindle eReader cleared in much the same way on August 21st. 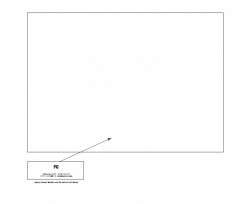 A different front company run through the same corporate services provider registered an “electronic display device”. While the testing doesn’t indicate a front-lit screen, which would be in keeping with certain delay rumors that have been floating around, it does point to something with both WiFi and 3G access as well as audio capabilities. This does not mean that there will be no front-lit Kindle. The three filings mentioned above from last year were all made the day before their official public announcements. All that this indicates is that there will definitely be a version of the next generation that doesn’t have front-lighting. Not really a surprise given that the inclusion of such a feature is sure to bump the price compared to unlit alternatives at least slightly. State Dept Contract Cancellation Reinforces Front-Lighting Rumors? There will definitely be a front-lit Kindle at some point, regardless of delays and pricing differences. We know that Amazon is working on producing them thanks to leaks, property acquisitions, and basic reasoning (the light on the Nook Simple Touch is really useful and Amazon would be silly not to make one). The fact that they have failed to land a proposed $16.5 million no-bid contract with the US State Dept might point to delayed releases. 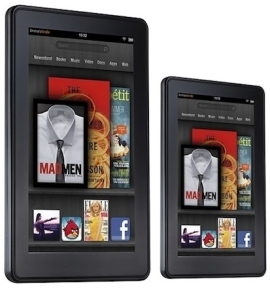 The initial proposal required 2,500 Kindles with preloaded content and front-lit displays. Since the document included the indication that the “Amazon Kindle [is] the only e-Reader on the market that meets the Government’s needs”, something came up in the meantime. Production delays that would result in an inability to meet deadlines are not at all out of the question. In what will probably turn out to be another preparation for this event, Amazon has managed to grab the trademark for the word Firedock. That was originally the name for a fairly impressive Kindle Fire accessory concept from Grade Digital Audio that is now going by the name Matchstick. The Kindle Fire, despite its emphasis on media, is badly in need of affordable accessories. An official charging station/speaker dock would sell amazingly well and clearly Amazon is aware of that. The big question is “why didn’t they put something out sooner”, but with luck the wait will have been worth it. Combined with a potentially larger display, this could completely change the level of utility for the next generation of Kindle Fire. With all the talk of a Kindle Fire meant to compete with the iPad, it’s easy to forget that the existing model is already enjoying some fairly stiff competition. Google’s Nexus 7 is quite possibly the best tablet available for $200 right now; no matter what metric you are using. Despite some supply issues, Google’s 7” tablet is enjoying a deserved surge in popularity. Between allowing access to the wider world of Android content (including that offered by Amazon) and the more up to date hardware/software combination it ships with, there is little to recommend the existing Kindle Fire by comparison unless Amazon’s home-grown interface is a deeply desired feature. On the eReader side of things, the Nook is still going fairly strong as well. While device sales are down according to their most recent quarterly reports, content sales are up and the Nook Simple Touch is still setting the hardware standard. Given that Barnes & Noble is about to begin extending sales of the Nook to Britain, opening the door to new and as-yet untapped customers, we can’t discount the potential for a sales boom in the Nook’s future. Sources seem to indicate that there will also be a refresh of the Nook Tablet in the next month or two. Given how forgettable the Nook Tablet has been in the current generation, despite its superior hardware specs compared to the Kindle Fire, this would initially seem to be a minor issue. At the same time, though, there was nothing to really complain about with the existing device. It just didn’t impress by comparison. Barnes & Noble has invested the time and money necessary to improve things in the meantime and will almost certainly surprise to some degree. Right now about all we know is that the intention is to have the new model improve the reading experience and show off a revolutionary new display technology of unknown capabilities. The long-rumored iPad Mini seems to finally be on the horizon. While I’m personally still quite skeptical about the existence of such a device, increasingly reliable sources seem to agree that Apple has finally caved in and decided to join the 7” tablet market. The Kindle Fire, despite being updated, might have trouble competing in that segment should Apple really put serious effort into things. At the same time, however, the objections that many have cited in the past remain applicable. Apple is not known for their ability to sell things cheaply. The least expensive iPad they have sold to date has made the company around a 50% profit at launch. They will have to accept much smaller margins or furnish far less modern hardware if they are to get device prices down to the $250-300 range that they would need to achieve. This doesn’t mean it’s not going to happen, but take the rumors with a grain of salt. Right now, Kindles are getting hard to come by. The Kindle Touch is completely out of stock. You can’t get one in any form, with or without Special Offers and/or 3G access. The Kindle Keyboard is similarly hard to come by, though the Kindle Keyboard 3G is still around. Basically anybody buying one of the current generation devices can choose between the $79 Kindle with no real navigation and annotation capabilities and the Kindle Fire. Unless you think that Amazon is getting people together on the 6th to talk about how they’re cutting back to just two models, it’s fairly obvious where this is going. We’ll keep you up to date here when solid information as it becomes available. This is the time when Amazon really has to come up with something big to stay in the tablet market and they aren’t known for disappointing customer expectations. It’s going to be an interesting announcement. Could Apple be feeling a bit threatened by the arrival of the impressively popular Kindle Fire? If certain rumors coming out of Taiwan are true, then the answer seems to be “Yes”. The most recent set of rumors, which as always should be taken with a grain of salt, indicate that Apple has been looking at samples of 7.85″ screens. Presumably this would be an effort to design something along the lines of a budget iPad to compete with the sudden wave of affordably priced iPad alternatives hitting the market. Such a device would have the advantage of Apple’s excellent reputation and superior presence in the tablet market while also allowing purchase by customers who aren’t quite ready to drop $500+ for their newest piece of narrowly useful electronics. This would not exactly fit with prior declarations from Apple regarding the usefulness of a 7″ tablet, of course. Steve Jobs came out emphatically against such devices, declaring that extensive testing had shown anything smaller than the iPad to deliver a sub-par user experience when using fingers as pointing devices. This doesn’t rule a smaller iPad out entirely, though. One, with the passing of Steve Jobs his company will naturally have to choose their own course. If the market demands smaller, more affordable tablets then there is every reason to believe that Apple will rise to the challenge. Two, Apple does have some history of declaring things pointless or unfeasible right up until the moment they feel they are in a position to do those very things. Whether this is due to clever PR trying to throw off the competition or simply Apple’s desire to give their customers what they want regardless of what seems to be a smart move at first is open to interpretation. Clearly nothing is set in stone yet. 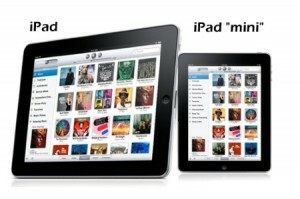 At best, somebody at Apple thinks that the idea of a smaller iPad is something that should be explored to some extent. As far as anybody knows, orders have not been placed and plans have not been made. 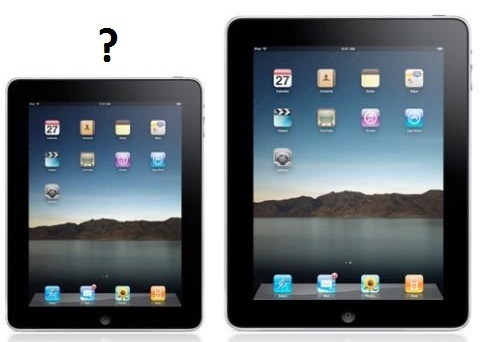 We have more substantial speculative information floating around about the iPad 3 than this, by a fair margin. Even if it did happen, would it really be able to outshine the competition anymore? A smaller iPad competing with the Kindle Fire would almost certainly come in at $250-300 and be unavailable until at least mid-2012. Where Amazon is pushing media, Apple is making most of their profit on the hardware end and would have to scale back the power of their device accordingly, likely eliminating a great deal of their edge along those lines. On top of that, the Kindle Fire will have had time to gain a following. Assuming that the real value is in the content that a tablet has access to, Amazon is certainly offering enough to keep their users happy and the low price is clearly attractive. We’ll see what happens in the months to come, but I question the potential for a move like this. Apple already controls the performance tablet market and would be better off without a disappointment on the budget tablet end of things.